A new geotechnical consultant hired by Millennium backs the developer’s claim that Transbay terminal’s construction for the recent sinking of the Millennium Tower but acknowledges other nearby project could be contributing to the problem, according to a report that the city disclosed Friday. 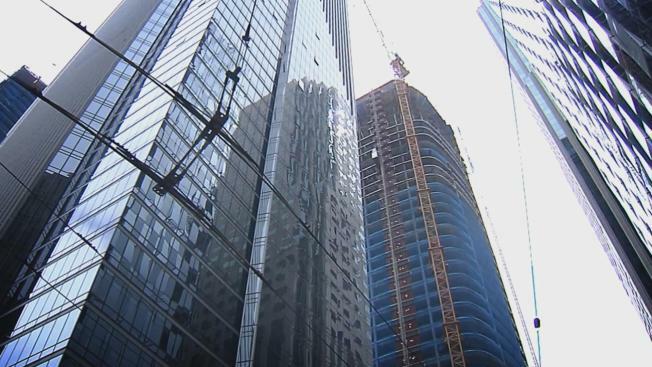 The consultant, John Egan, pointed to the Salesforce Tower at 415 Mission St. as well as the 350 Mission project across from the sinking Millennium Tower as potentially having a role in the building having sunk 16 inches. But he concluded that the “major” force behind the problem is the next door transit project to the south of the tower, which is now leaning to the north and west. Egan’s report is the latest salvo in the fight between Millennium officials and the publicly funded Transbay authority over who is to blame for the debacle that threatens to ensnare taxpayers because of an agreement that holds the transit project financially accountable for any contribution it had to the sinking problem. Transbay officials have repeatedly said that the Millennium’s defective foundation –not tied to bedrock –accounts for the sinking of the heavy and say the structure is clearly tilting and sinking away from the transit project, to the north and west. Crews began to bore the first of three test holes, each more than 200 feet deep, outside the Millennium Tower on Monday to better assess soil conditions in the areas where the building is sinking and tilting along Mission and Fremont streets. Mark Matthews reports. Millennium officials blame what they called the “staggering” 20 foot loss of groundwater they say was drained away during wall construction by Transbay. Egan said the settlement of the previously water saturated soil had been leveling off before Transbay began to build its protective wall. But, he said, other construction projects contributed to the water loss. “Continued dewatering of the Transbay Transit Center and other sites near 301 Mission Street likely is contributing to ongoing and future settlement of the building,” he said. Transbay officials have countered, however, that those buildings are much less heavy than Millennium, which was billed as the heaviest structure of its kind of the West Coast when it was being built in 2007. It was completed in 2009, and by then, the sinking was put at 8.3 inches with the expectation that it could sink as much as four more inches. San Francisco officials on Tuesday balked at providing $6.8 million to the joint powers government agency, which is responsible for building the Transbay terminal complex, but is now locked in a dispute over who is to blame for the sinking Millennium Tower. Jaxon Van Derbeken reports. He said that “most significantly,” the Transbay project began demolition work the following year, 2010, to make way for a “massive project” that required excavation of nearly four city blocks. That excavation began in late 2011 and led to the removal of than 640,000 cubic yards of soil. Dewatering of the surrounding soil began soon after, Egan said, up to 5 million gallons of water per month. That dewater is still going on, Egan said. Dewatering is also going on at the Salesforce Tower next door to the Millennium on Mission Street. Egan cited recent Transbay data covering three years from March 2012 and June 2015 that shows that the project’s removal of water from the transit site coincides with a “significant drop” in the water table under the tower. First, Egan says, there was a “sharp drop” in the water level of some six feet in the Spring of 2012 followed by a steady drop through mid-2015. At that point, Transbay’s contractor stopped collecting data. Transbay officials have said the wall prevents much if not all the loss of water for nearby buildings. “Despite these assurances,” Egan said, the new data suggests the wall is “not functioning as designed,” and groundwater weekly pumping of 100,000 gallons has had an impact on the building. The protective shoring around the project, Egan theorizes, called a "bathtub" by Transbay, is failing and water is either getting through or under the wall. Egan acknowledges that he is aware of other dewatering from construction work nearby the Millennium building, however. He pledges to investigate what role that work may be having in the sinking of the building. He noted that dewatering has been underway on the site of the Salesforce Tower to the south and the building across the street on Mission. He said the evidence, however, “strongly indicates” water depletion from the Transbay work is “the major factor” for the settlement. Other buildings have not sunk or tilted, the agency noted and Millennium puts much more pressure on the soil than other projects because it is as much as five times heavier than the next largest building nearby. 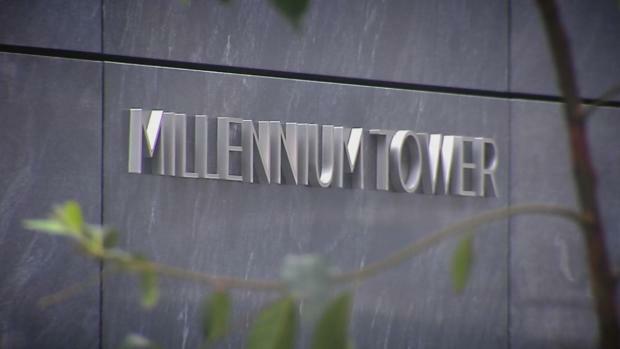 The agency says the first major water removal near the Millennium Tower was in May 2013 and other earlier removal of water would not have impacted the project. The amount of water that could have gotten through the wall was “negligible,” the agency concluded, and at most, the Transbay project only accounted for nine feet of the 20 foot drop in water table cited by the developer. Transbay also blamed water loss from 350 Mission and the Salesforce Tower at 415 Mission. Editor's note: The TJPA on Tuesday, Oct. 4, released a statement in response to this report. View the full statement here. How Much Does a Condo in the Millennium Tower Cost?